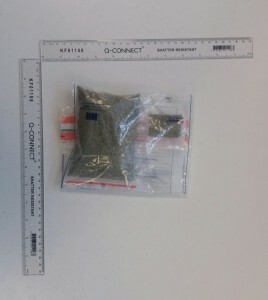 Officers in Rochdale seized over a kilogram of Spice on Friday after executing a warrant at two properties in the Spotland area as part of a crackdown on the supply of psychoactive substances in the borough. The searches were obtained under the Psychoactive Substance Act 2016. The measures mean any person caught in possession of the formerly-legal high, Spice, could be hit with fines and face up to five years in prison. Previously, it was only illegal to deal the hallucinogenic drug. Officers are now able to stop, search and arrest people on suspicion of carrying the psychoactive substance. 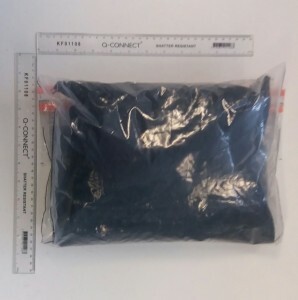 Four people; three men, a 29-year-old, a 23 -year-old, a 22 -year-old, and a 19-year-old woman were all arrested on suspicion of possession of a psychoactive substance with intention to supply. They remain in police custody. Sergeant Daniel Shirazi, from GMP’s Rochdale borough and who led the operation, said: “This warrant is part of an on-going campaign to clamp down on the supply of 'Spice' - a highly addictive and extremely dangerous drug which is often used by the most vulnerable people in our community. This is truly a terrible drug with the police experiencing first-hand the dangers of it and its impact on the community. “We are committed to tackling the issue and as well as enforcement action, we work with the community and partner agencies, to carry out intelligence-led operations. Anyone with information about the sale of drugs can contact police on 101. Alternatively, call Crime stoppers, anonymously on 0800 555 111.